The Russian T-35 tank, with five turrets, was the only multi-turret tank to go into production and stemmed from a time when many nations were experimenting with this concept of a land battleship. This book, with 140 pages, appeared to be an attempt to catalogue the initial combats of the T-35, and as such I was excited to perhaps read about the ‘combat debut’ of these vehicles. bulk of the book then consists of a description of around 47 vehicles, describing their key features and their eventual fate. The frustration here is that a proportion of the examples are ‘unidentified’ , and the descriptions are fragmentary. It would have been very useful to provide a table which took each vehicle and listed the features of the production batch and/or individual vehicle. This would clarify the ways that features (eg. Single vs. double turret hatch, early vs. late driver vision port, and so on) were introduced with different vehicles. It would ensure that we, as modellers, can avoid impossible combinations of details. 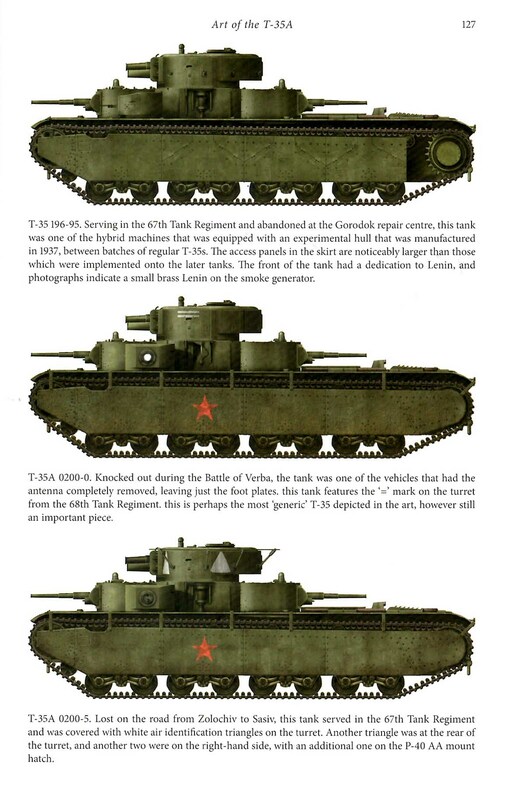 The last part of the book includes colour side views of eight vehicles, showing the positions of the few markings to be found on these tanks. Throughout the book there are countless photos, with captions which attempt to tie down the individual vehicle and explain what is going on. Almost without exception, these photos are of wrecked and abandoned vehicles, surrounded by German troops. 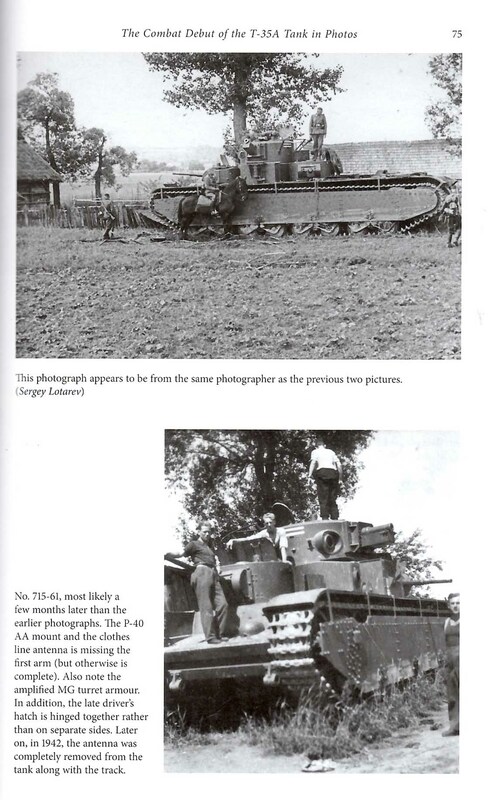 The photos are largely new, and provide a good insight into how the T-35 tanks met their fate. 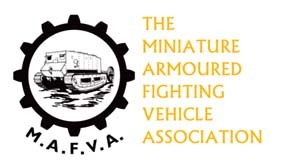 Aside from a handful, the vehicles broke down and were not used in actual combat where they fired their many guns! Overall, this is a very interesting book, and on second reading it made a lot more sense while I compiled a chart giving a vehicle list with features. Worth the £19, but actually available cheaper if you research online. I just wish that the author had taken this excellent idea and had completed it more thoroughly, and with better proof-reading.